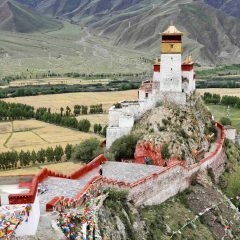 Nagqu in Northern Tibet is the area that is rarely visited by tourists. 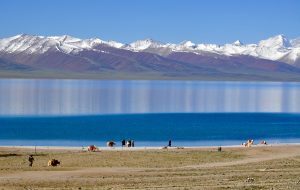 Probably the only one popular place in this region is Namtso lake, that sees many visitors. 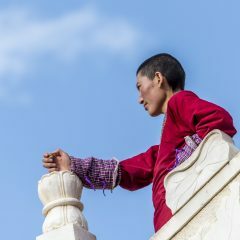 The hostile and harsh climate of the region makes it less attractive compared to all other areas in Tibet. However, due to a scarce population, it is the land where you can see pristine nature and a lot of wildlife. 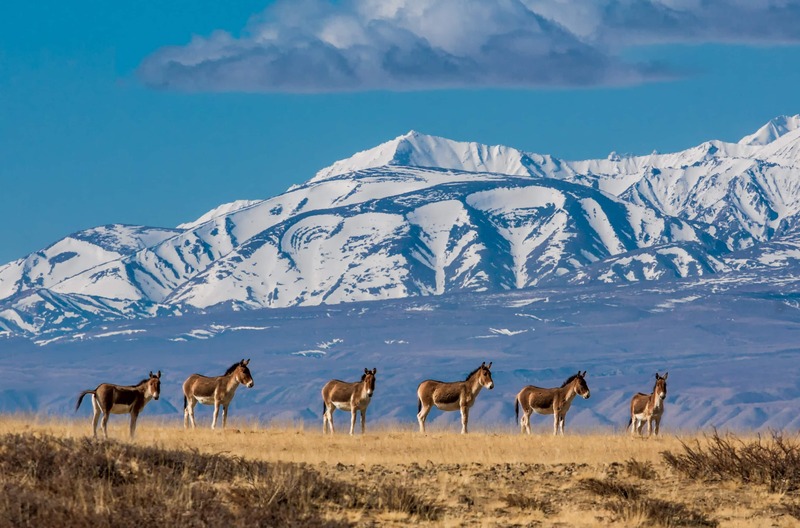 In these area, you can meet wild donkeys, Tibetan antelopes, foxes, bears and wild yaks. Northern Tibet is famous for its incredible landscapes. 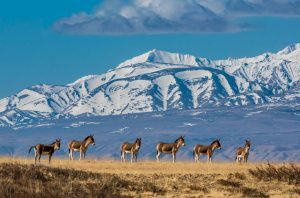 There are vast grasslands, where nomads travel to leave their animals to graze. Along the way, you will find many of the wonderful lakes. 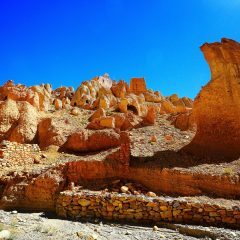 Most of them are not as famous and large as Namtso, but the colors are gorgeous, and so is the surrounding mountain landscape. The Qinghai-Tibetan railway goes through the Northern areas of Tibet. 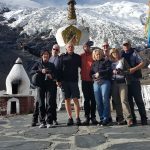 If you take a train from one of the Chinese cities to Lhasa, you will travel through the mountain ranges going over 5,000 meters. 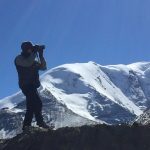 You will enjoy the views from the height of Tanggula mountain. 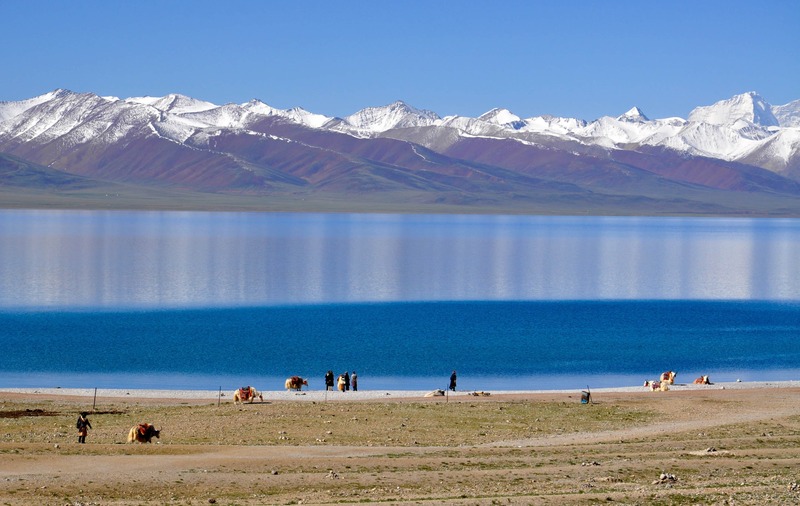 Namtso lake is the highlight of the region. 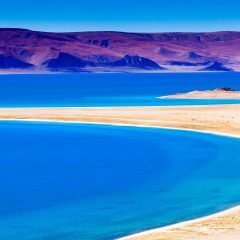 This gorgeous lake is the highest salt lake in Tibet, at the elevation of 4,718 m/ 15,470 ft. 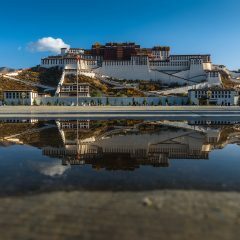 It is located a little over 100 km to the North from Lhasa. Due to the high elevation and Northern location of the lake, it stays frozen from December until June. With the monsoon season in July and August, it is not uncommon to see snow there. 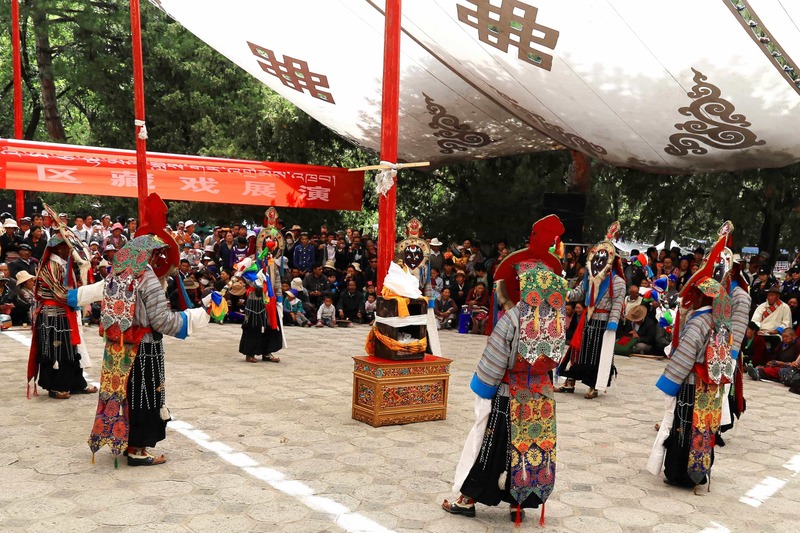 Most of the year, Namtso is surrounded by snow-peaked mountains. The Yangpachen hotsprings is a very popular stop on the way to or from Namtso lake. 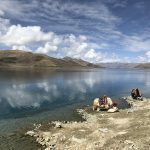 This natural hotsprings are especially popular among people who come to the area for trekking. You can rest and recharge soaking in the hot water, swimming or simply enjoying the peaceful environment. The water coming from under the ground is 70℃ warm. It is mixed with the water that already cooled down. 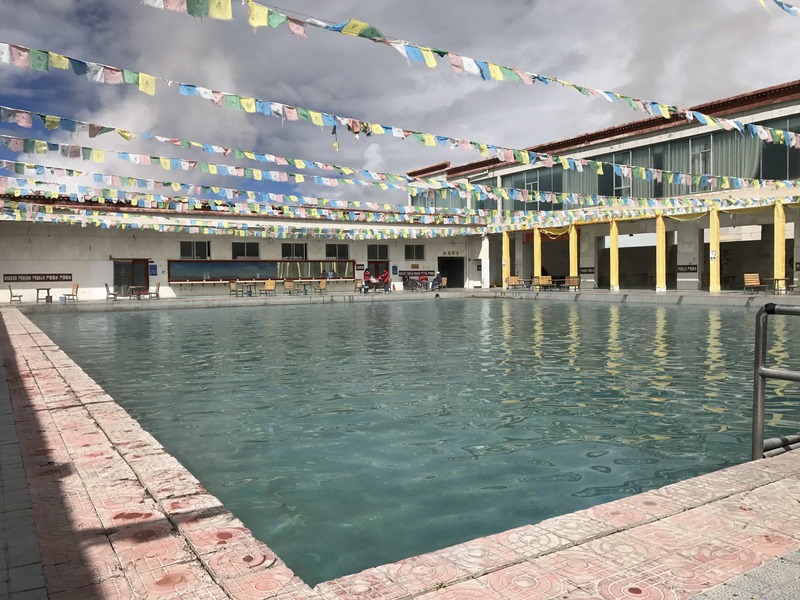 The areas are equipped with swimming pools of different size, filled up with hotspring water. There is a hotel, where you can stay for a night to spend more time at the hotspring. 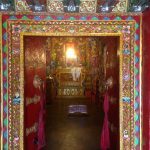 There is a Yangpachen monastery nearby that we visit during the trek from Tsurpu to Yangpachen. 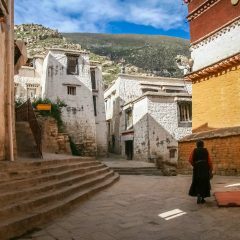 The Reting monastery is one of the most important monasteries of the Gelug Sect. The founder of Reting is the disciple of Atisha – Dromton. 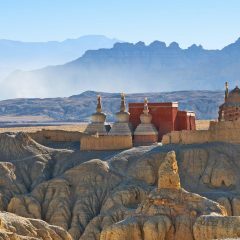 He founded the monastery in the 11th century, about 150 km to the North from Lhasa. 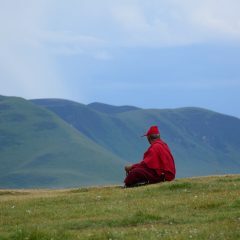 Originally, Reting monastery belonged to the Kadam school of Tibetan Buddhism. 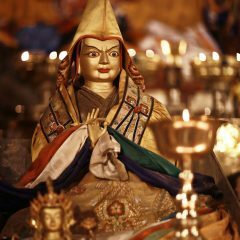 Later, Tsongkhapa reformed Kadam, which transformed to Gelug school. Reting monastery became an important monastic center. 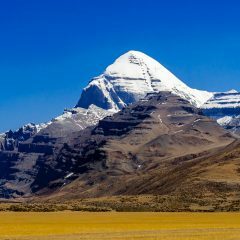 It had a very close connection with Dalai Lamas. 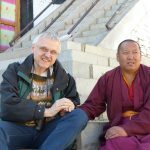 The monastery is the seat of Reting Rinpoche. 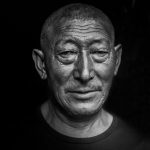 The Rinpoche is responsible for the search of Dalai Lama, after his death. 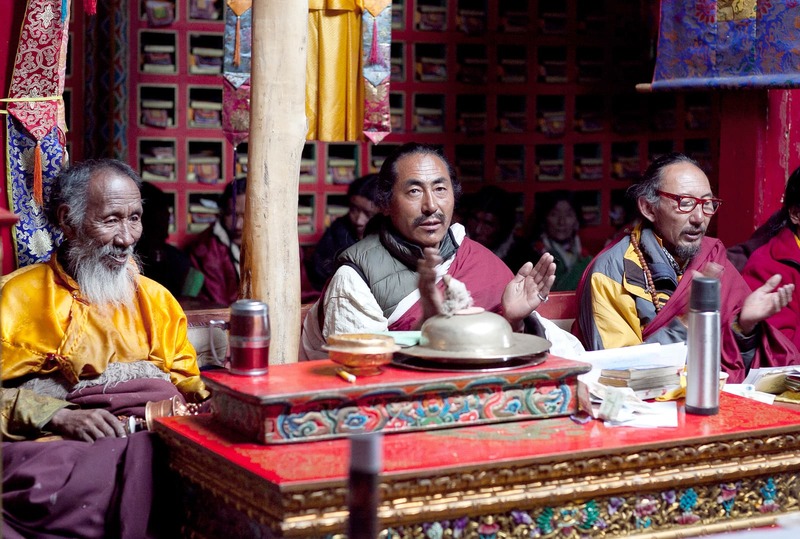 While the Dalai Lama is young, the Reting Rinpoche becomes a Regent and a tutor.